In this Case Study we describe a Destination Marketing Consultancy in Italy and Europe. Bizmaker® is doing that for a Vietnamese company involved in the international congress sector. 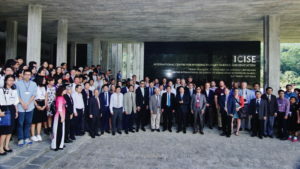 A group of French researchers of Vietnamese origin has been organizing International Conferences in Physics since 1996. Their objective is to increase research and stimulate the growth of young researchers by organizing informal meetings away from the academic facilities. 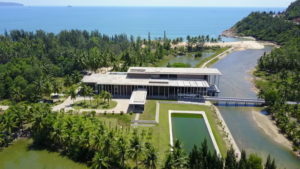 Thus, in 1993 they decided to replicate their model in their homeland – convinced that the prosperity of Vietnam also depends on investments in research and knowledge. 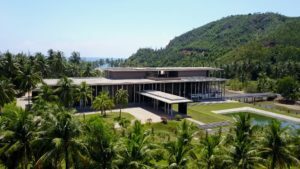 After 10 years, thanks to their success and collaborations with local institutes, they inaugurated their very own Congress Center in the University city of Quy Nhon, in central Vietnam. 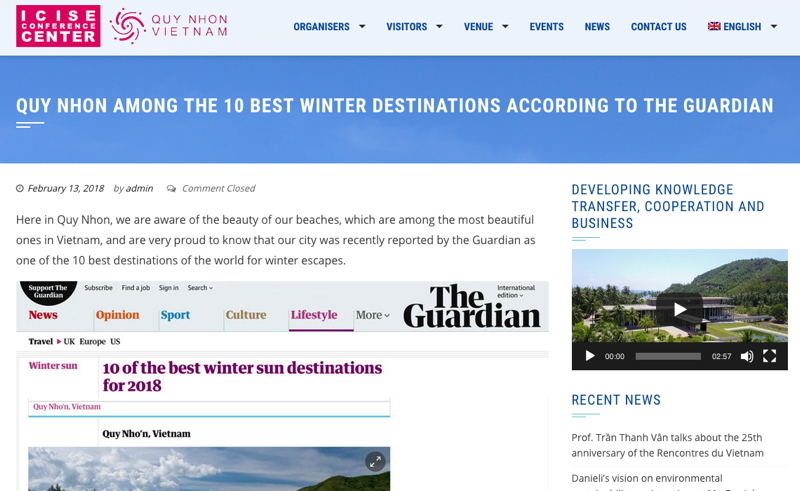 Quy Nhon (Binh Dinh province) is on the east coast of Vietnam, 45 minutes by air from Ho Chi Minh City (Saigon) and 1 hour and 30 minutes from Hanoi. The centre is called International Center for Interdisciplinary Science and Education, in short ICISE. The building designed by Studio Milou of Singapore received the Public Architecture Award from the Australian Institute of Architects in 2017 and was nominated in the short list of Higher Education and Research Category – completed buildings – at the World Architecture Festival in Berlin in November 2017. The opening of the center greatly increased the potential of organizing events, which were formerly held in hotels, in Vietnam. As a result, the opportunity of new international collaboration has also been increasing. Since 2017 Bizmaker® has been developing its Destination Marketing Consultancy in two phases. The first focuses exclusively on international scientific conferences and association meetings. In the second phase, still in progress, the range of action is widened to include international business events and the Professional Congress Organiser (PCO). The Customer is followed directly by Dr. Enrico Belli, based in Italy, who took up the role of International Marketing Consultant. Dr. Belli is part of an international team located also in France and Vietnam. In the first phase it was necessary to correctly place the Congress Center in the market of international congresses. Therefore, the name ICISE Conference Center was baptised – replacing the original one (International Center for Interdisciplinary Science and Education). The mission of the new Center was defined: developing the transfer of knowledge, cooperation and business in Vietnam. How is the ICISE conference center carrying out its mission? 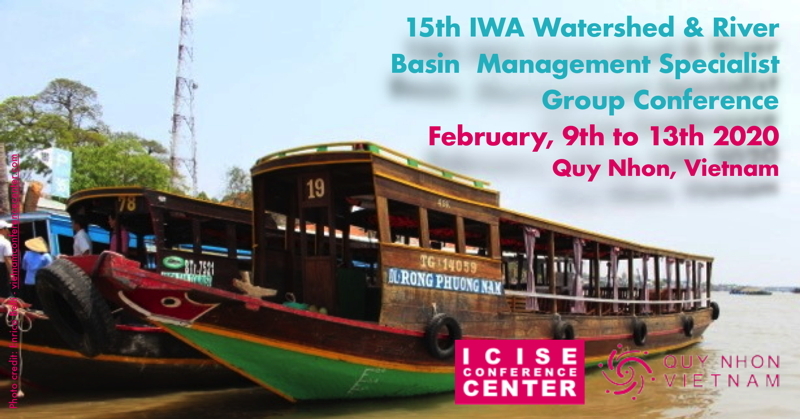 By organizing business events and scientific conferences directly in the ICISE Congress Center in Quy Nhon, in central Vietnam. The impact of events on a territory can’t only be evaluated from a financial point of view, but also by the increase in knowledge of the different communities. The combination of the socio-economic characteristics of Vietnam and the services which the ICISE Center offers – fully focused on the client – make it possible for European and American organizers to be quickly active in Vietnam. In fact, it is possible to take the initiative of organizing an event in synergy with the ICISE Congress Center, and, at a later date, look for potential partners in loco. In other words, the initiative of an event doesn’t have to happen in Vietnam. It can happen from anywhere in the world. Organizing an event or conference in Vietnam opens the door for new relationships with new partners. 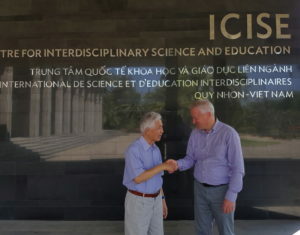 Trip to Vietnam and visit to the ICISE Congress Center. Interview with the participants to better understand the profile of potential clients. Video shoots, editing and publishing of institutional shoots. 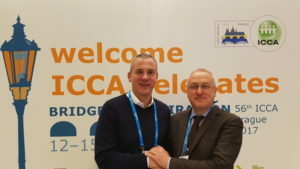 Affiliation to ICCA International Network. Web Marketing: set up a web site in English; ranking of the ICISE conference center as location for events with an integrated package of logistics and all-inclusive assistance throughout the territory. Interviews with the visitors of the Center and organizers of the conferences in Vietnam. Personalized mailing list of academics and conference organizers. Direct email marketing: setting up a calendar of monthly newsletters in English and Italian. Set up and operation of a Twitter account. Organization of videoconference meetings with the marketing team to coordinate all activities. Lead search, also through the ICCA database. Lead elaboration and profiling through Bizmaker®’s integration tool, a software app developed specifically for this purpose. Direct contacts with European, American, Vietnamese and expatriated Vietnamese researchers. Issuing offers and handling business transactions. After the first year of destination marketing consultancy in Italy and in Europe the ICISE Congress Center is ranked as a very prestigious location for events – with an integrated package of logistics and all-inclusive assistance throughout the territory. Communications are held via the site vietnamconferencecenter.com currently available in two languages, English and Italian. A segmented mailing list has been created. Then, a newsletter targeted communication channel has been activated both in English and Italian. The ICISE Conference Center has been chosen as a candidate for a variety of international conferences. New contacts and business opportunities have opened up, thanks also to the organization of visits to Vietnam and meetings with potential partners. 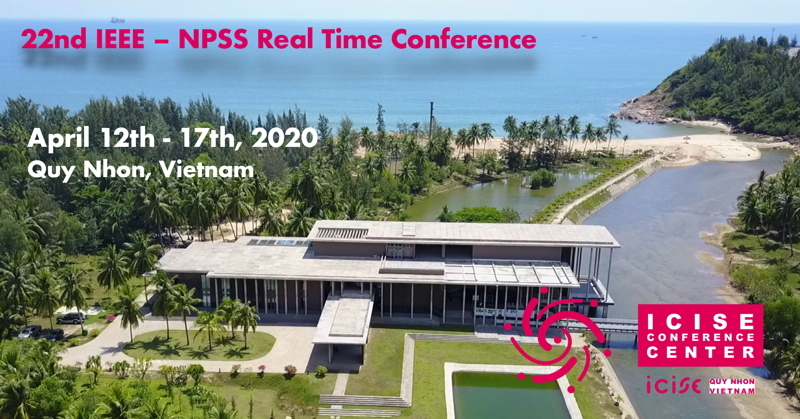 22nd IEEE – NPSS Real Time Conference (April 12-17, 2020). Want to learn more about destination marketing consultancy in Italy? Download the complete presentation “Destination marketing consultancy: potential and practical cases”.